The Velebný & Fam is a family firm seated in the Czech Republic. In 1990, we resumed our family operation, thus reviving the three-hundred-year tradition of embroidery and parament production that was interrupted in 1951. 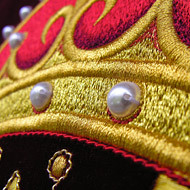 We focus on all types and techniques of embroidery work. Our ambition is to produce the best quality possible so we have been ranked among leading world manufacturers in the field of embroidery for a long time. 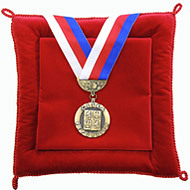 We specialize in design and production of ceremonial association and club flags as well as paraments. We are proud of the unique look of our products. Every piece of work is designed by a well-experienced professional artist, who supervises the work made by an artistic embroider. Thanks to our restoration room, we are able to renovate historic textiles. 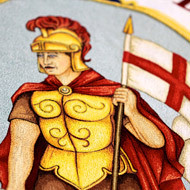 Another - also important - segment of our work includes heraldic and vexillological production. 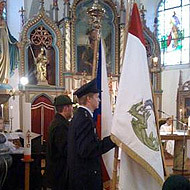 Zdeněk Velebný, renowned artist, heraldist and vexillologist, creates emblems and flags for cities, municipalities and institutions. In addition, he designs personal and family emblems, too. Our company colours are golden-yellow and wine-coloured. The logo is based on the V-letter (the family name Velebný). This is also a symbolic expression of a thread reeved through an embroidering needle eye, which is a part of our logo, too. The company logo was designed by Zdeněk Velebný, the owner. Zdeněk Velebný was born on 27 April 1957 in Pardubice. He graduated from the Secondary Veterinary School in Hradec Králové (1976), Secondary School of Transportation in Česká Třebová (1981) and College of Graphic Arts (SUŠG) in Jihlava (1995). Zdeněk Velebný is a member of the Union of Visual Artists CR, Czech Cartoonist Union and Czech Vexillological Society. He was dubbed the Knight of the Czech Heraldry and became one of the seven members of this renowned institution in the CR. As a child, he fell in love with the heraldry and vexillology when his uncle bought him a book "Deutsche Wappenrolle" (author: Hugo Gerard Ströhl) an a collection of historic flags and state emblems from the beginning of the 20th century, which he has been continuing since then. At present, he focuses mainly on personal, municipal and city heraldry and vexillology. The Parliamentary Committee has already approved over 150 municipal and city emblems and flags designed by Zdeněk Velebný. and „Když něco stojí za to, aby se to dělalo, stojí za to, aby se to dělalo dobře" ("If the work is worth doing, it needs to be done well"). We are a professional and specialist family-based company proud of the tradition of embroidery work since 1713. 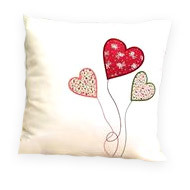 We enjoy embroidery work and are able to guarantee outstanding quality of our products. Every order is important to us - and all the products are checked by the owners. We work with utmost care for our customers at any time, following form the experience and best practice inherited from previous generations.In regard to embroidering ceremonial flags, we determine the tone and are ranked among the leading manufacturers in the world. 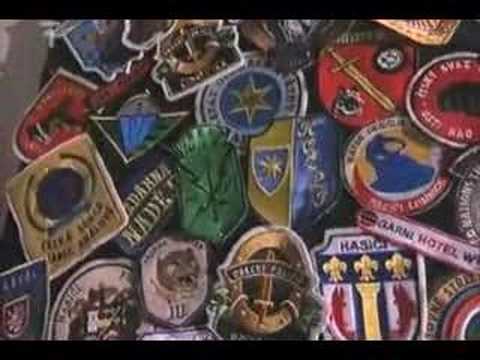 We use state-of-the-art technologies and top quality materials for flag embroidery. We produce flag accessories, such as poles, stands, wrappers and transport bags, as well as holders. We provide warranty and after-warranty professional service, including textile cleaning and restoration. Our warranty period for fully embroidered flags is 10 years. 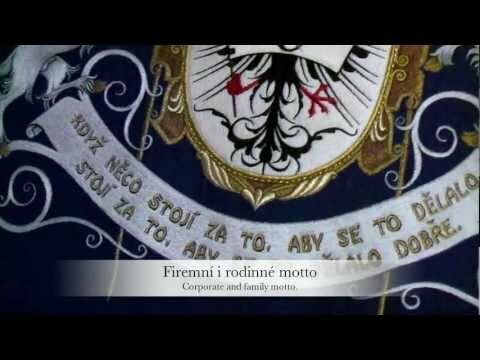 The flags produced by our ancestors have kept for 150 years and more than that!